This revolutionary anti-aging cream took three years to develop! 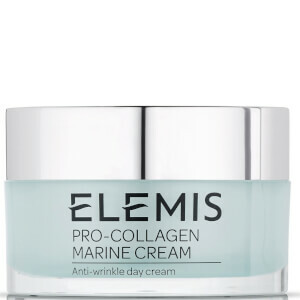 Elemis Pro Collagen Marine Cream uses the maximum concentrate of powerful marine extract Padina Pavonica to transform your skin. 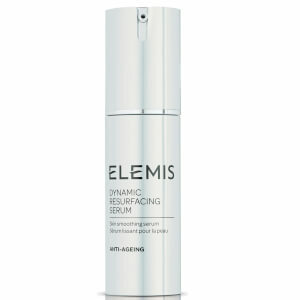 With ingredients that fight against free radicals, this rich cream contains anti-oxidant properties that provide an accelerated lifting effect through increased collagen support. Cell renewal, elasticity and firmness is increased and hydration and moisture levels are improved in your skin. This cream is clinically proven to reduce the appearance of fine lines and increase moisture and hydration levels in your skin. 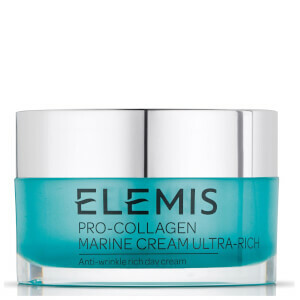 Pro Collagen Marine Cream is the ultimate anti-ageing treatment from Elemis. Apply to your cleansed skin daily. I bought the Advent Calendar 2017, this was one of the products in the Advent Calendar. I genuinely love it so much. It smells really light but good, and it is super hydrating. I skin was really dry during the winder, and it was peeling off a little but, but after using this products for a few day, my skin had stopped peeling off. Really recommend it to people who have sensitive/dry skin! I love this cream. Does what it says. So pleased I found it at this price. Arrived prompt and well packaged. So far, I have used the most expensive one of the cream, the effect is really good, better than the previous ones. 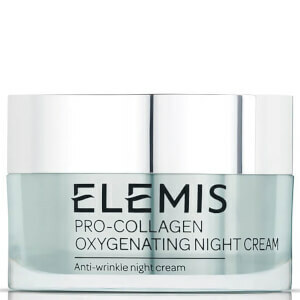 I had a small pot of this and loved it managed to get 20% off so treated myself. Love the texture and it is a lovely moisturiser for under your foundation and without foundation. It's has a wonderful smell. When I wake up in the morning I feel that my face feels healthy and "strong " I can tell that it works for me. love this cream, it is pricey but a little goes along way & definitely can see results especially if I go back to another cream,do not like to be without this. I used this product last year and was always happy with it but then reverted back to my cheaper brand however once using this I realised how brilliant the marine cream actually is. I have just received my new tub of cream and it not only smells lovely, its nice to apply and as others have said, a little goes a long way. Definitely worth it, and I won't be going back to any other cream. I would definitely recommend this cream as it makes your skin feel amazing. One of those products that's so good you don't realise how good until you stop using it.